So you’ve arrived at Apartment number 1 at 462 Hawthorne Road Bulimba and you are fanging for some caffeine. Where to go to get a great coffee nearby? We cannot go past Microlot Coffee House. This cafe is our pick for the best coffee in the Bulimba/Hawthorne area. A must visit for coffee afficionados! 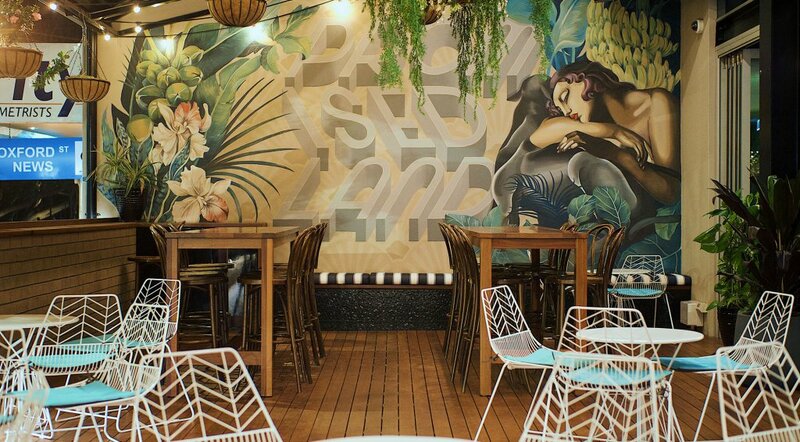 Coffee aficionados take note – this new vibrant java joint sources the finest beans directly from Colombia and roasts them here in Brisbane for locals to savour. Having been involved with hospitality and coffee in some form over a 15 year period, Calder Dryden knows more about the industry than most ever learn – meaning that any coffee business he’s involved in is worth checking out. Alongside Simon and Mia Mylonas, Calder has opened Microlot Coffee House, a bright and welcoming cafe that serves some of the best caffeine in town. The trio overhauled the space to show off spectacular timber floors, crisp white walls, sturdy wooden furnishings and plenty of coffee apparatus. Microlot aims to remove the pretension surrounding coffee appreciation, making a welcoming spot for people to experiment with different blends (which rotate every three to four days) and brewing techniques such as cold drip and filter varieties. When you are seeking dinner – 2 great places come to mind both with a Middle Eastern tilt. Firstly Ambrosia Mediterranean at 180 Oxford Street. The Ambrosia menu draws its inspiration from the distinct flavours of the Mediterranean, offering an assortment of tapas and main dishes from countries including Greece, Morocco, Turkey and France. The breakfast menu is extensive and designed for those looking for either a healthy start to the day or an indulgent breakfast experience. Then there’s Downtown Istanbul. Downtown Istanbul is Brisbane’s newest Turkish restaurant! Located in the newly developed precinct opposite the Hawthorne Cinema Complex at 276 Hawthorne Road, head chef Buphen Gurung will be tempting and tantalizing your taste buds with modern Turkish eats – traditional flavours with a contemporary twist. It’s Turkish food bazaar meets the streets of Hawthorne and operated by the former owners of Ahmets Bulimba, guests can expect the same delectable Turkish pizzas, pides and grilled meats that made them famous, along with some unique new menu additions. Downtown Istanbul is serving up lunch and dinner seven days a week with seating for up to 80 people indoors and outdoors. If you need to wet your palate before or after dinner, or after a long day out and about, The Oxford Garden (formerly known as Barcadia) at 136 Oxford Street offers a great local option, with some delicious food on offer as well. Patrons can wine and dine in style on the beautiful deck adorned with hanging baskets, inside by the bar or at spacious booths with bench seating. Mouth-watering mains include large plates of chicken parmigiana, OFC – Oxford fried chicken, beer battered fish and chips, wagyu rump, and housemade gnocchi. Otherwise, there are salads such as wild rocket and parmesan, roasted sweet potato and Vietnamese salad with crunchy noodles, fresh veggies and nuoc cham dressing. The bar is well-stocked with craft beer on tap, bottled beer, wine, champagne, and a comprehensive cocktail list including but not limited to Aperol Spritz, Espresso-yourself Martinis, and the Oxford Pash (Eristoff vodka, aperol, lime, pineapple juice and passionfruit). ﻿Nice to know – The Oxford Garden is child-friendly with a kids menu consisting of spaghetti with Napoli sauce, chicken nuggets or steak served with chips.